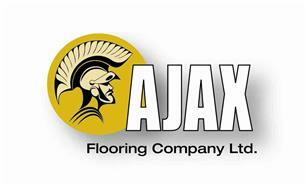 Ajax Flooring Co Ltd - Carpets/Flooring based in Bourne Road, Kent. Invoice history based on 38 reviews. We have been established since 1956 and are founder members of the Contract Flooring Association. We are EXOR approved and have been on the approved contractors list of all London councils and surrounding boroughs. We are a family run business with 3 generations working for the company. We specialised in vinyl, Lino, safety flooring, stair nosing, carpets, wood restoration and wood installation. We carry out both commercial and domestic flooring projects.Most recently we have completed work to the Science Museum London and The Royal Netherlands Embassy, University of Greenwich Trinity School of Music, as well as many schools and sports centres. We would be pleased to offer you any advice on your flooring requirements and provide you with free quotations.We guarantee a fast and reliable service.